New arrivals at Coggles! The Stockroom is proud to announce the introduction of Coggles to the site, and what better way to celebrate then writing an article around some of the top arrivals at the store. 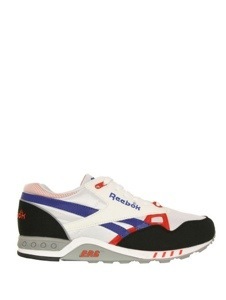 We have picked out these beauties, the Reebok ERS 2000 which come white, blue, red and black. The sneak has a bold design with a strong sense of style. There is a bold Reebok logo across the sides of these sneaks. A must have for any fashion savy person. If you would like to pick up these sneaks then follow the link below.